Dr. Alice Chen has been a vice president at Accelerator since 2017. She initially joined Accelerator in 2013 as a principal to support portfolio company operations and to provide executive oversight of preclinical development activities across the portfolio. 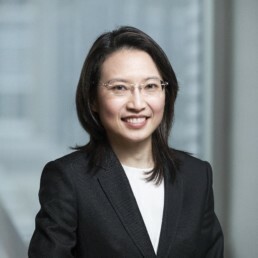 She is actively involved in sourcing and scientifically evaluating emerging biotechnology investment opportunities, and has played an instrumental role in the formation and oversight of several Accelerator portfolio companies, including Acylin Therapeutics, Magnolia Neurosciences, Nemean Pharma, and Rodeo Therapeutics. Dr. Chen completed her doctoral training in the laboratory of Dr. Chaitan Khosla at Stanford University where she focused on protein engineering and protein characterization. She holds a Ph.D. in Chemical Engineering from Stanford University and a B.S. degree in Chemical Engineering from U.C. Berkeley. She served as an Engineering Fellow at Merck & Company and is a graduate of the Kauffman Fellows Program (Class 19). Dr. Chen currently serves on the boards of the Evergreen Fund Advisory Committee for the Fred Hutch Cancer Research Center and Life Science Washington, the state’s life science trade association.